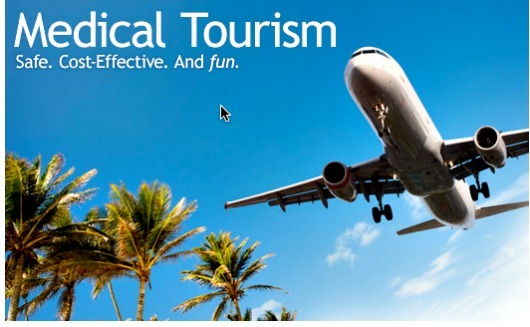 A global non-profit association for medical tourism and international patient industry has listed the Philippines as eighth place among the top medical tourism destinations in the world in 2015, the Department of Tourism (DOT) said Monday. The Philippines placed ahead of countries such as Japan and France, according to a list compiled by the International Healthcare Research Center and the Medical Tourism Association (MTA). Canada emerged as the top medical tourism destination worldwide followed by UK and Israel which came second and third, respectively. MTA is non-profit association represents healthcare providers, governments, insurance companies, employers and other buyers of healthcare. According to MTA, clients of the Philippines for medical tourism come from East Asia (China, Japan, Korea, Taiwan), Sri Lanka, the Pacific Islands (Guam, Palau, Marshall Islands, and Micronesia), Australia, North and South America, Europe and the United Kingdom, and the Gulf States. It also noted that Filipino expats and overseas Filipino workers likewise prefer to have their medical procedures done in the country. Currently, the Department of Tourism (DOT), Department of Health (DOH) and Department of Trade and Industry – Board of Investments (DTI–BOI) have a joint program to promote Philippine medical tourism. This informal partnership resulted in a roadmap that identified five major segments in the international medical travel sector: tourists, who come for spa and other wellness services; medical tourists, who avail of low-acuity medical procedures; medical travelers, who purposely come to specifically avail of more complex procedures; international patients, including overseas Filipino workers, expats, and retireers; and accompanying guests, either friends or immediate kin of travelers. s of the DOT, DOH, DTI-BOI’s latest count, 62 hospitals around the country are now internationally accredited. In a 2014 study by renowned medical tourism author Ian Youngman, global health and wellness tourism market is worth USD438.6 billion and Philippine medical tourism was able to generate USD66 million and USD145 million for 2013 and 2014, respectively. “It has to be a country effort, a collective effort of every medical and wellness facility in the country, for the Philippines to be accepted in the medical and wellness market,” she said.